Spring is finally here. Sheesh, and just in time – I was really getting tired of the Johannesburg cold. Well, now’s the perfect time to revive yourself and forget that winter was ever here with a little bit of cocktail exploration. This time of year is an important one for Hendrick’s Gin as two of its key ingredients are developed – roses and cucumbers! Spring is the season of new beginnings; animals awaken, fresh blossoms bloom, and the earth seems to come to life again. In that revival spirit, every September our delightful planet Earth becomes part of a rather curious phenomenon – the Equinox. Literally meaning “equal night,” this bi-yearly occurrence marks the only time of year when day and night are of equal length. This cosmic wonder occurs when the earth is tilted neither towards nor away from the sun and signals the end of winter days and the beginning of preparations for the summer ahead. To help celebrate this delightfully unusual event, just in time for the change of season and in budding celebration of spring, Hendrick’s Gin has crafted the Equinox cocktail, an extraordinary tipple ideal for applauding the intriguing marvels of our wondrous planet and sharing with friends. The scrumptious cocktail combines the dry tones of the Noilly Prat vermouth with the splendid citrus notes of spoon lemon bitters. Garnished with the mysterious tastes of orrisroot and vanilla smoke, the exquisite Equinox cocktail highlights the flavour of the orrisroot, one of the eleven botanical ingredients found in this award winning gin. Pour all ingredients into a mixing glass and stir over block ice until well chilled, mixed and slightly diluted. Single strain into martini glass with saucer and glass dome. 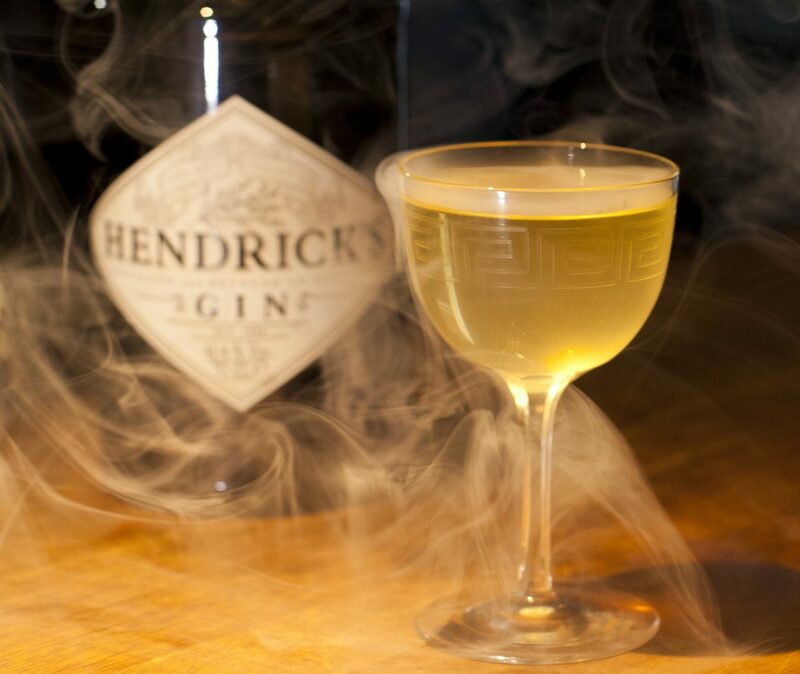 Place glass dome over drink and using a hand smoker fill with orris root smoke and vanilla smoke. Garnish with cucumber round.